Sure, we all love having robots, but how hard is it to sleep with those glowing red eyes glaring at you from the dark? What if the solution was as simple as slipping our patented Robot Sleep Mask over your robot’s head? That takes care of the glaring eyes, but you also wonder whether your robot’s wireless interface is being hijacked by your enemies. What if they send your robot instructions to wake you up late and you miss an important meeting? What if they program the robot to strangle you while you sleep? You can sleep safe and sound, knowing the Robot Sleep Mask is coated with Cybershield, a break-though coating that prevents your robot from receiving malicious outside instructions and spam. 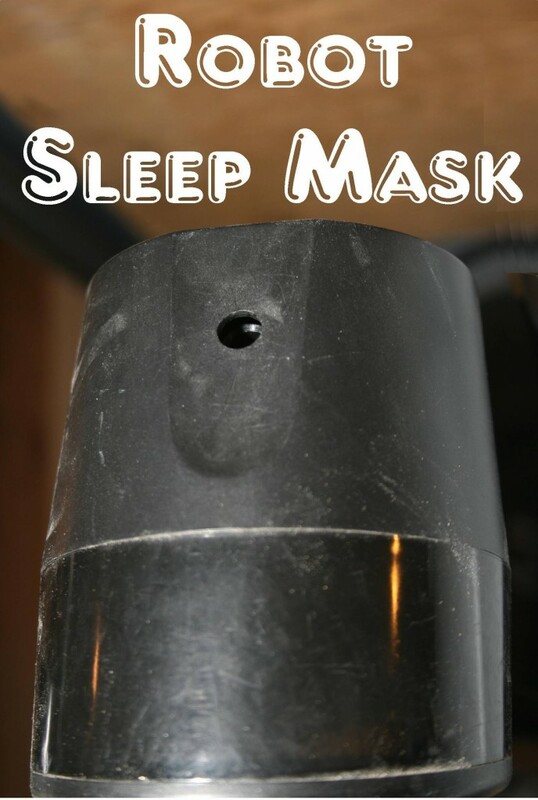 Why go through the hassle of powering down your robot every night when the solution is as easy as just slipping on a one-size-fits-most ROBOT SLEEP MASK? Now available in a wide variety of colors, including Charcoal (shown), Ecrue, Spring Mint, Autumn Russett, Quicksilver, Sunset Peach, Vivid Vermillion, and Brown. EM, have you been visiting my nightmares? Thank you, Stephen, for the laugh. This morning, I really needed it.